10 Travel Trailer Must Haves Accessories - Don't Travel Without These! →10 Travel Trailer Must Haves Accessories – Don’t Travel Without These! Whether you have been on the road on various occasions or you are planning to do hit the road for the first time. You must carry some items just like the way you would do when you are going for camping. When camping, you need to carry several things such as portable solar panels, flashlight and portable camping shower as discussed here . A solar panel will enable you to charge your laptops, phones and any other device that might require charging. On the other hand, a flashlight is a reliable source of light especially at night. Below are the travel trailer must haves accessories you should carry. Hughes Net- This one provides reliable internet even in remote areas. The best thing about these devices is that they provide portable internet. They also come with different equipment which enables them to provide internet in any location. Outdoor fold up chairs and tables – Fold up chairs and tables are important accessories you should carry if you would like to experience additional comfort. Sometimes you might find yourself in locations where the only chairs available are very dirty or are not well maintained. In other areas, you might find that there are no chairs at all. Fold up chairs and tables will save you in such a situation. Gila heat control Window Film – When travelling you will come across amazing areas. However, some areas may be very hot and you might not be very comfortable in such areas. A heat control window film can be a great addition to your window. It reduces the heat from the sun by 70%. This means you do not to use the overhead air conditioner for a long time. The device provides comfortable temperatures when you are indoors. Dish Tailgater – This one gives you the programming you require anywhere you are. With the dish receiver and small tailgater satellite, you will have a programming dish which will enable you to access your favorite channels. It is a pay as you go service which allows you to turn it off and on according to your travel requirements. RV solar panel kit – An RV solar kit is very important since it will allow you to charge any electronic devices irrespective of where you are. Some people may argue that most parks contain different power options. However, this is not always the case. You will also note that most of the parks are always full which means an RV solar panel kit will be very convenient. One Acre Natural mosquito trap – One of the major disadvantages of visiting different areas is the constant attack by mosquitoes. The One-Acre natural Mosquito trap is very helpful since it attracts mosquitoes, traps them and after that it kills them. This trap is very effective and the best thing is that no chemicals are emitted which means it is very friendly to the environment and to your health. Hamilton Beach Portable Frozen Drink Maker – This device is an important accessory. It is operated by battery and it is available in both large and small scale. The device enables you to prepare frozen drinks such as frozen banana Daiquiri through the campfire. Outdoor serving tray – In most cases, dinners are prepared half outside and half inside. This means having a serving tray is a must have accessory for travel trailers. It allows you to place food and extra utensils. It also makes cleaning work to be very easy. NuWave Oven- This one enables you to prepare delicious meals within a very short time. This means you do not need to spare a lot of time to cook. The best thing with this appliance is that it enables you to prepare a wide variety of meals. Espresso Maker and Aero Press Coffee - Irrespective of whether you enjoy coffee or not, you will still need a cup of java. Aero Press enables you to prepare a flavorful cup within minutes. The best thing is that it does not require a lot of space and it’s also made of quality materials. You need to do through preparations before travelling. This is because in most cases you will be away from your home for several days. 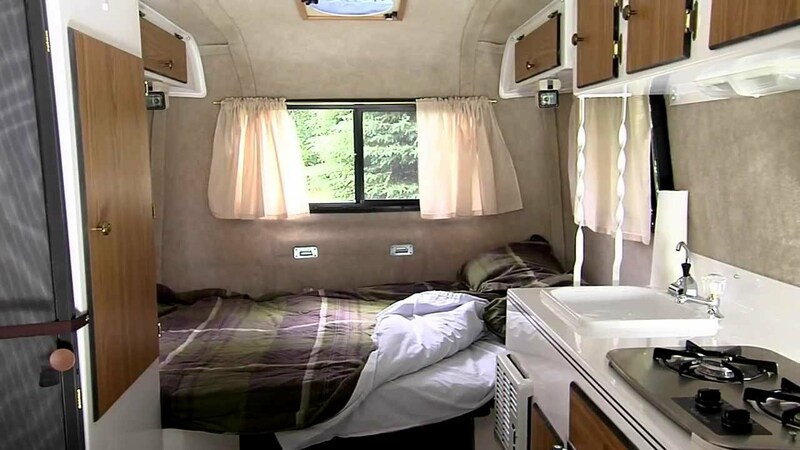 The above are the most important travel trailer must haves accessories you should consider. Your traveling experience will be full of fun with all the required equipment. We hope that you will consider them in your next travelling adventures.